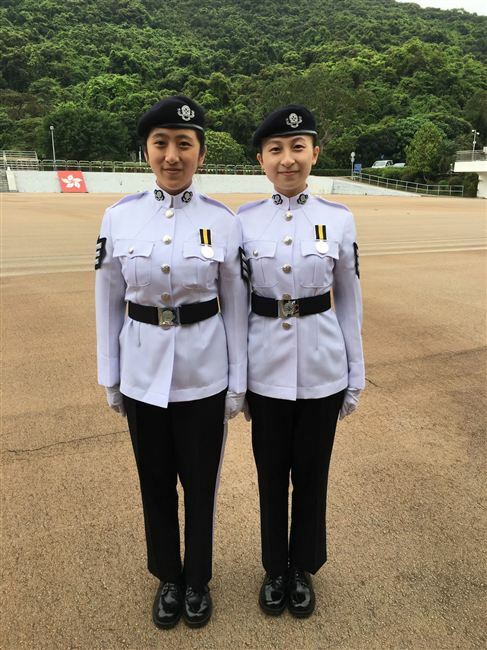 Our alumni Chan Yuk Ki and Fu Yan Yin become the flag bearer team members of the May Forth flag raising ceremony at Gold Bauhinia Square. 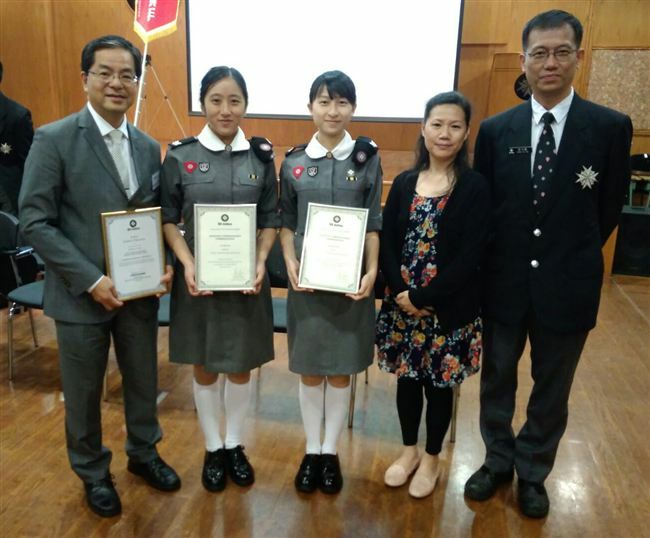 They were awarded the Assistant Commissioner commendation. A prizing giving ceremony was held at St. John Tower on June 7. 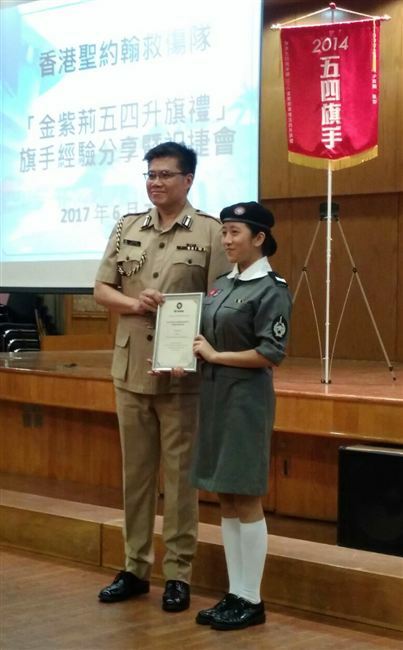 The ‘May Forth Flag bearer award ceremony’ was hosted by the Brigade Commissioner at large. It was also attended by the principals of the winning schools. 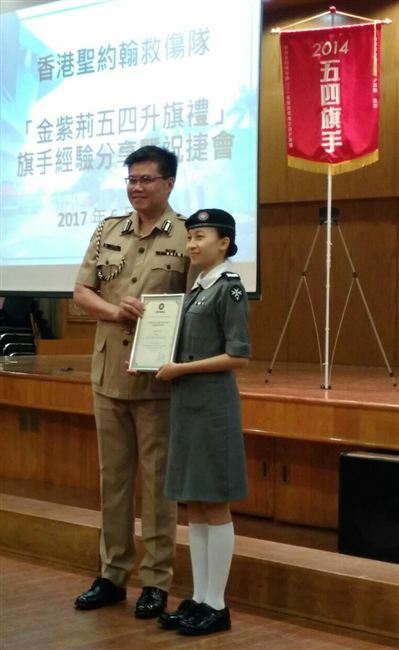 Our alumni Chan Yuk Ki and Fu Yan Yin who are now students at the local universities and still serving in our school cadet division successfully knocked out twelve other uniform groups in Hong Kong and become the flag bearer team members of the May Forth flag raising ceremony at Gold Bauhinia Square. 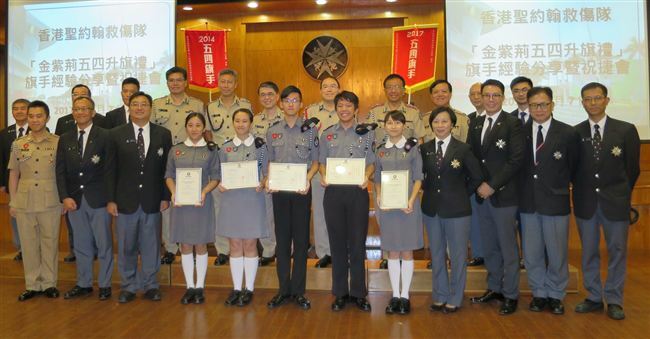 They were awarded the Assistant Commissioner commendation.